I promised M I would make him this a long time ago, so I decided it was best to make good on that promise. Besides, he’s been giving me many guilt-trips these past few days about wanting something sweet. I hope he appreciates this! 🙂 I love lemon zest and the step where you have to rub the zest and sugar together – it smells amazing! While it’s baking is smells buttery and sweet…swoon! Verdict: I thought it best to cut this recipe in half so the extra loaf wouldn’t tempt me! 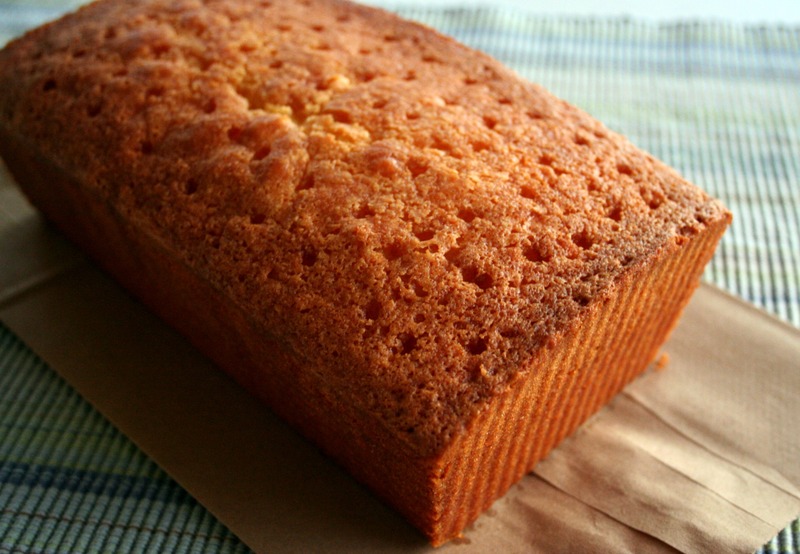 The crumb is dense, but when I bit into it; it was like a cloud 😉 It’s so light and airy – totally unexpected. It was sweet, lemony (of course) and the texture is so unique. It’s great – if you love lemon, try this! Center a rack in the oven and preheat the oven to 350 degrees F. Butter two 9×5-inch loaf pans, dust the insides with flour and tap out the excess. Even if the pans are nonstick, it’s a good idea to butter and flour them. 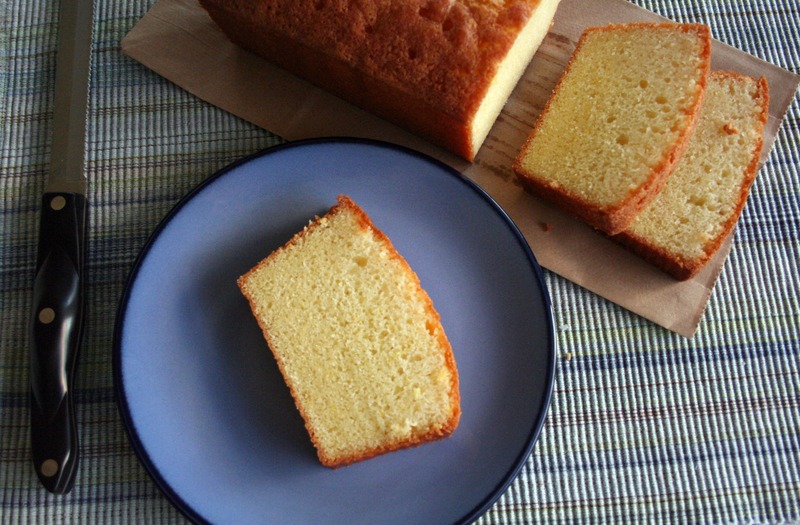 That sounds very… lemony… It is baked to absolute perfection – that tiny crust around the outside. Really really nice, well done.